There's nothing better than soft organic cotton against your baby’s skin. Introducing Thirsties NEW Organic Cloth Wipes, a two-sided reusable wipe that’s gentle enough to use on your baby’s most delicate areas, yet perfect for handling bigger, sticky messes that can occur during diaper changes. Our 2-ply organic cloth wipes come in a 6-pack of soft, gender-neutral colors, including 2 Moss, 2 Mango and 2 White. 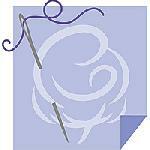 They measure 8 x 8.5 inches and have two, buttery-soft layers; one side is organic cotton and the other is organic terry. These new wipes are perfect for face, hands, bums and bath time. 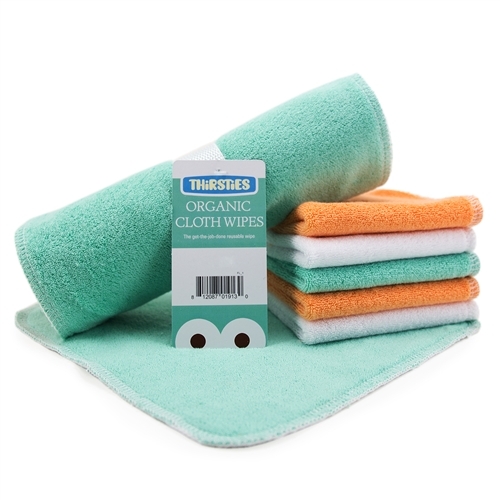 Aside from choosing to use cloth diapers, Thirsties Organic Cloth Wipes may possibly be the best investment you can make. The average household will spend over $500 on disposable wipes from birth to potty. In comparison, the average cloth diaper family spends $75 or less on reusable cloth wipes. 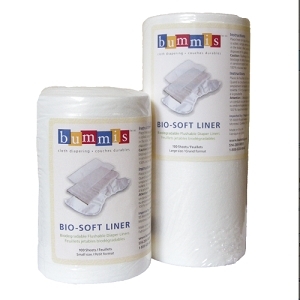 In addition, cloth wipes are simple to use and can be tossed into your cloth diaper laundry.